Wounded Times: Powerball winner donates chunk to veterans! Powerball winner donates chunk to veterans! (WSVN) - A woman who won half of the $687 million Powerball is donating half a million dollars to a veterans charity. 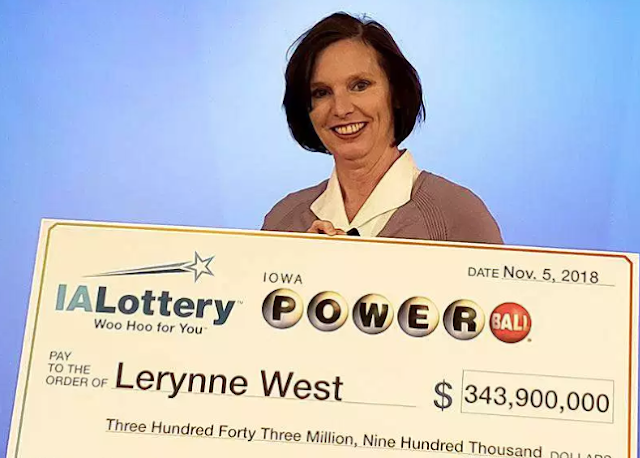 Lerynne West, 51, made an appearance on the Ellen DeGeneres show where she told the story of how she won the lottery and how she set up The Callum Foundation with her winnings. West said the foundation was named after her grandson, Callum, who was born prematurely and only lived for a day. The organization’s website says it focuses its grantmaking on several areas, including poverty, hunger, education, animal welfare and veteran affairs. “I have a responsibility to do good for other people and to help other people out as well,” West told DeGeneres. West also announced that she will be donating $500,000 to the Travis Mills Foundation through her organization. The Travis Mills Foundation helps wounded and injured veterans and their families. West said veteran affairs has always been something she cared about, especially with her father and brothers all having served in the military. West was one of two winners who split the $687 million jackpot for a total of $343.9. According to CNN, she opted to take the lump sum option of $198.1 million.